Windows Live, Microsoft’s portal into the web just got a revamp today introducing an integration of email, storage, instant messaging, photos, social networking, etc. Microsoft is calling this the Wave 3 of the Windows Live road map. The new portal now accepts third party applications from more than 50 web companies including Flickr, LinkedIn, Pandora, Photobucket, Twitter, WordPress and Yelp, among others. Also, to share all these features without leaving Windows Live, they made into a Facebook-like social network where users sign into their accounts and access everything from there. Microsoft is also proud to highlight the features of the new portal especially the social networking aspect which seems to be the most significant of all. Windows Live is making new social features available to all customers, including an updated profile, a "what’s new" feed of activities across the network and Web, photo sharing, and on-the-go access from virtually any device with Windows Live SkyDrive. Online storage is increasing from 5 GB to 25 GB. Windows Live Messenger, the No. 1 instant messaging service worldwide with more than 330 million active customers, now includes more personalization, a "what’s new" feed with updates from contacts across the Web, drag-and-drop photo sharing in the conversation window, a favorites list to designate the most important contacts, and group IM to chat simultaneously with up to 20 people at the same time. Windows Live Hotmail, one of the largest e-mail services worldwide with more than 375 million active customers, is getting a significant upgrade. It is now much faster and has 80 percent more effective spam filtering1 compared with previous versions of Hotmail. Upcoming changes include the ability to bring multiple e-mail accounts together, the ability to put multiple e-mail addresses onto almost any device, increased storage, and a revamped calendar that makes it easier to share calendars with others, subscribe to multiple calendars and use your calendar with Microsoft Outlook. 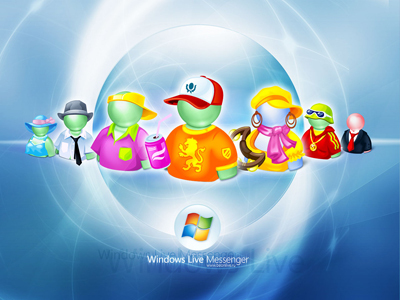 Windows Live Groups, a place for groups to collaborate online, includes a shared calendar, shared storage, a shared e-mail address, and shared instant messaging. Bringing all these features together including the newly launched Live Photos, Windows Live can now be considered a single massive social network with over 460 million users. However, will those users ever be able to grasp the fact that Windows Live IS a social network?